The following blog was written by Jodi Strock as part of YBIC’s monthly column that highlights how the practice of yoga can be an integral component in the effective treatment of and on-going recovery from eating disorders and disordered eating. 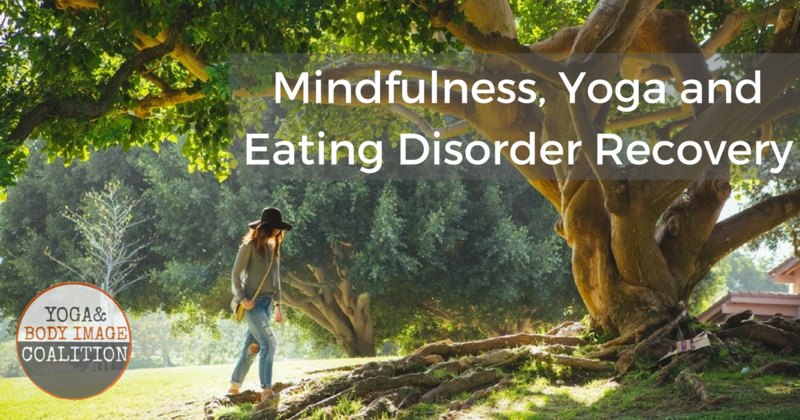 As a mental health professional, yogi, and someone who had once struggled with an eating disorder I wanted to shed some light on the specifics of how yoga can play a significant role in eating disorder recovery. Yoga has numerous benefits in the recovery process. At its most basic, yoga is a calling to be in your body. People who struggle with eating disorders report feeling completely cut off and/or separate from their body, this is a barrier to recovery. When a teacher asks you to lift your toes from the earth, you can’t help but to focus on your toes. For someone who lives in a state of feeling disconnected from the body, yoga provides a space where it is safe to start exploring what it is like to connect to the body again. While the prompts and cues in a yoga class may seem like simple instruction, doing the poses in a mindful way actually helps the brain rewire. You are giving yourself the experience of being in the body in a safe, fun, challenging, and empowering way. 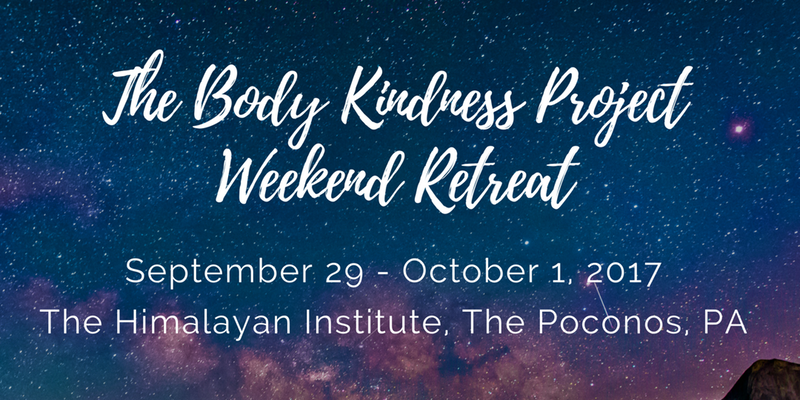 This is a powerful and transformative experience for people who struggle with eating disorders as they often experience being in their body as dangerous, bad, gross and/or scary. Thus, yoga actually changes your relationship to your body. Remember though, it’s called a practice because the benefits don’t magically appear after one pose or class. The effects are cumulative. Yoga also helps one to practice trust, flexibility and strength. Despite the advertisements you may see, any experienced yogi will tell you that yoga is not about getting into a split or handstand. In fact, any yogi flexible enough to go into a split will likely be practicing how to strengthen their body to avoid an over-stretching injury. While those who are naturally strong will often focus their practice on flexibility so not to injure themselves by tearing a muscle. Learning what your specific practice needs helps you to trust that you will know what you need in a given moment. Yoga provides a space to practice balance no matter who you are or what you are bringing with you onto your mat. One of the most transformative things I have been taught through my yoga practice is how to sit with discomfort. The feeling(s) that arise just before you act out in your disorder are so excruciatingly uncomfortable that it is often the cause of relapse. Imagine having a space where you can train yourself to build a tolerance to sitting with this discomfort. Yoga is one of the places that can provide this space. Whether it’s holding warrior two or waiting an extra second before moving the stray hair you see dangling from your shirt, in yoga you practice waiting just a moment before you respond. Believe it or not, practicing this skill in these seemingly random moments actually train your neural pathways to respond more mindfully in moments off the mat. This skill is essential in eating disorder recovery. 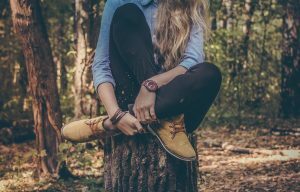 For example, learning to sit in an uncomfortable pose for one more breath sends the message to the brain that you can tolerate one more breath of discomfort. So, the next time one feels the urge to binge/purge/restrict/run/etc the brain will now have the ability to wait just a moment longer. Over time, that moment turns into a few minutes, eventually, this can lead to sitting through an urge or craving and no longer acting out. Another benefit of yoga is how it helps bring a friendly and playful attitude to uncomfortable moments. This is an essential step in tolerating an emotional trigger. So you just fell out of a pose. In yoga, this is viewed as courageous. On the mat you get to practice falling down and getting back up. It’s not about how many times you fall… or get back up. It’s about having a kind and generous attitude towards yourself through the process. Recovery, like yoga, is process. The more gentle and friendly you can be in your difficult/relapse moments the more successful you will be in your recovery. Again, this is not an overnight quick fix. This is a dedicated practice. And bonus… it can be really fun. After practicing yoga for almost 18 years, I could easily go on about the ways in which yoga has helped support a healthy recovery for myself and for many of my clients. While this article focuses specifically on yoga, I want to also say that a mindful, sitting meditation practice also offers a world of benefit to recovery. The moment I realized the interplay between my yoga practice and my life off the mat was the moment I went from loving yoga to being “in love” with yoga. However, as a mental health professional I do want to highlight that a yoga, meditation and spiritual practice are not substitutions for medical and mental health expertise. My road to recovery consisted of an entire village of professionals, family members, friends, yoga teachers and spiritual teachers. If you suffer from an eating disorder, body dysmorphia, addiction, anxiety, depression, or any other form of mental illness please have the courage and kindness towards yourself to reach out to a professional. If you would like to contribute to our monthly column, please send your 500-word submission to ybicoalition@gmail.com with the subject line “SUBMISSION – Eating Disorders & Yoga Column”. Along with that, please send your bio, weblink, and 2 high-res photos. Jodi is a Licensed Marriage and Family Therapist working with individuals, couples and families. She has had extensive experience in working with body consciousness, addiction, eating order recovery, anxiety and depression. 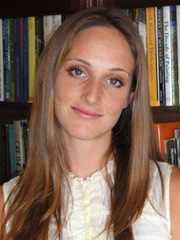 Her approach combines traditional forms of psychotherapy with Buddhist teachings and yoga practices as well. She collaborates with clients in unique ways to help them awaken to self-compassion in their own healing as a critical aspect of the work. 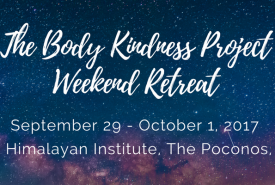 She created and runs the Body Image and Self Compassion workshop in Santa Monica, which focuses on skills that help individuals feel more connected to and accepting of one’s body. 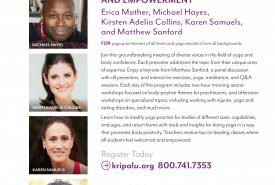 With a background in and dedicated yoga practice of seventeen years, she has been a strong advocate for the positive body movement and is a community partner with the Yoga Body Image Coalition. Hi Jodi. 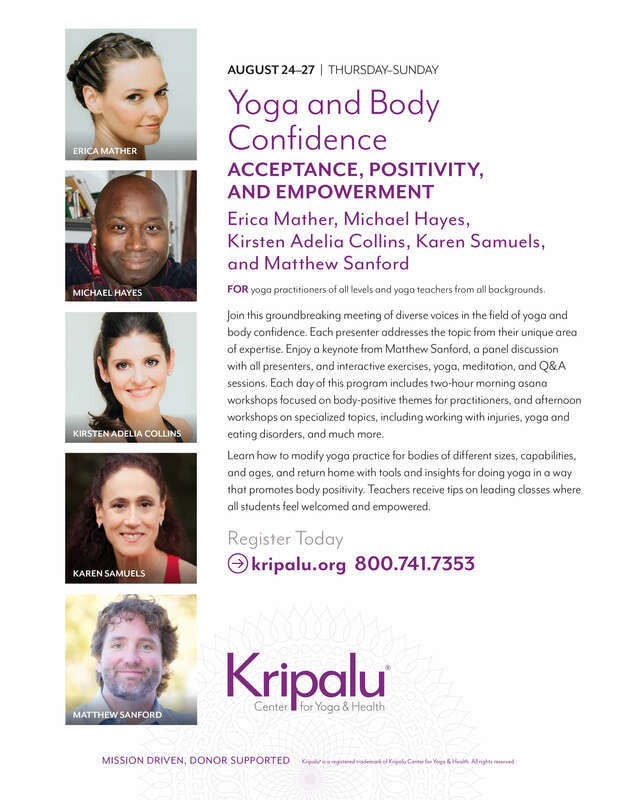 I am a yoga teacher hosting a workshop specific for people suffering from ED. May I have your permission to print this for my students and refer them to your blog. Sorry for the postponed reply. This is team YBIC and yes, you may use our post and refer your students to our blog. 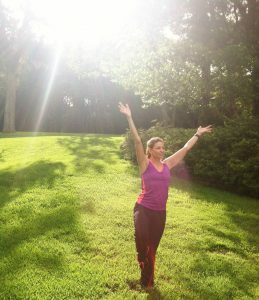 Specifically, you can find our column link here: http://ybicoalition.com/category/yoga-and-body-image-coalition-blog/yoga-and-recovery-from-eating-disorders/. This lists all of the featured Yoga and Body Image Coalition Partners who have contributed to our yoga and recovery from eating disorders blog posts.